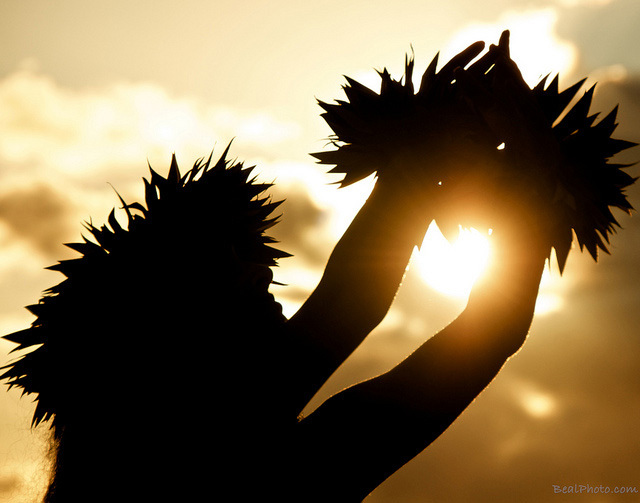 Hula dancer caught in the sun; photo by Andy Beal on Flickr (noncommercial use permitted with attribution / no derivative works). The hula is a traditional dance form with complex hand and body movements accompanied by chant, song, traditional musical instruments such as the pahu (and more modern instruments like the ukulele). 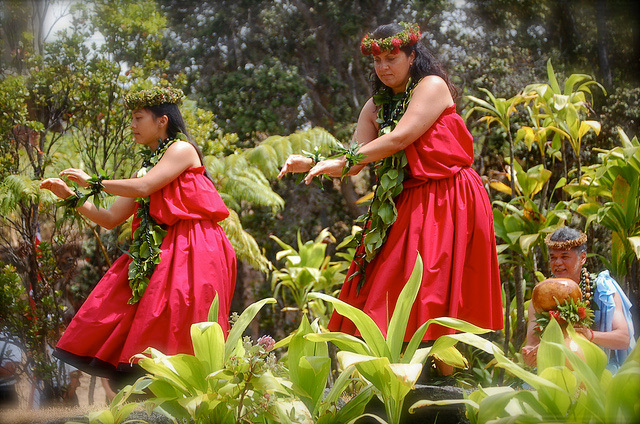 Hula dancers; photo by Gail (mahinui) on Flickr (use permitted with attribution).